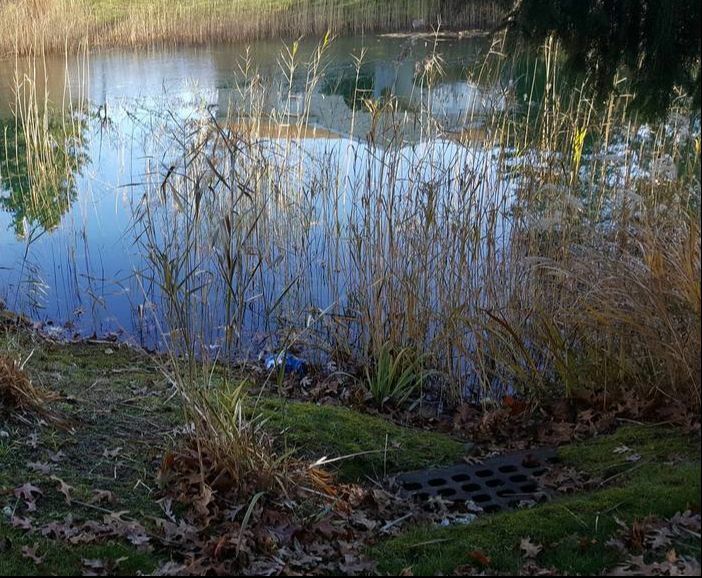 One of Aquatic Edge Pond & Landscape Solutions' biggest client's requests in the Pittsburgh, Greensburg, Monroeville (PA) area , are faulty Standpipes, siphons, and overflows that need to be regularly monitored to avoid clogging. Overflow outlet structures are built to keep the water surface in the pond at its optimum level and to be able to drain the pond for maintenance. If there is too much water in your pond, it may flow over the banks. Overflows can cause costly erosion damage to the infrastructure. Overflow pipes keep the water in your pond from overflowing the banks. Siphons serve a similar purpose but, typically draw down the water level 6-12 inch so that it can absorb rain events or fast amounts of runoff. When the water level rises faster than a standpipe, the emergency spillway lets water go past or around without causing erosion to the levy. Overflows need to be checked regularly to make sure there is no clogging to prevent expensive repair work. 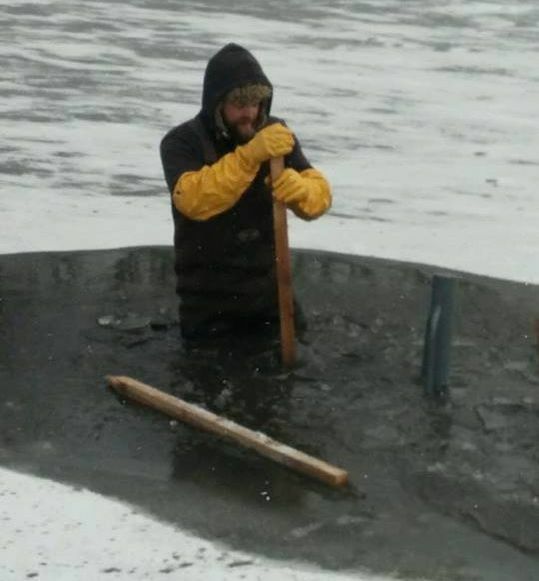 Taking care of your lake or pond is not a luxury, it’s a necessity to avoid costly repairs or cleaning services in the future. As your local pond management professionals, we’ve been there. Let us help guide you as a member to protect, plan, and preserve your pond or lake if you live in the Charlotte NC, Asheville NC, and Greenville SC areas. If you notice your natural pond water level dropping on a daily basis, or hear the "hissing" of your water fill valve constantly running, (after properly setting the water level) you may have a leak. Most of which can occur along the perimeter of the waterfall, stream, or overflow dam or standpipe. These leaks are generally due to the ground settling which causes the water to trickle over the edge. These leaks can be easily fixed. Check the perimeter of the pond, waterfall, and stream for any areas that are wet. This is usually a good indicator that water is leaking out of the basin or system. In natural ponds bentonite clay is usually the best quick fix to seal up most clay liners. Check to make sure any slow moving sections of the stream/waterfall/overflow have not become obstructed by leaves, plants, or other debris. This can cause the water to back up and leak over the edges. Natural earthen bottom or farm pond shoreline erosion is essentially the removal or dwindling of clay, dirt, or land that has been supplanted by water. Constant water ripples wears down earth and sediment, and as such, rising overflowing water levels are one of the primary causes of shoreline erosion. Often, elevated water levels are a side effect of the changing seasons, meaning leaf debris build up at the overflow points of these style ponds that raise the water levels. These leaks will erode dirt in the lower edge sections of your ponds. Farm & irrigation ponds in urban or agricultural applications occupy a vast majority the total private uses, and every year more natural ponds are falling into these categories. With these natural progressions also disappears wildlife's natural habitats, ecology and vegetation. 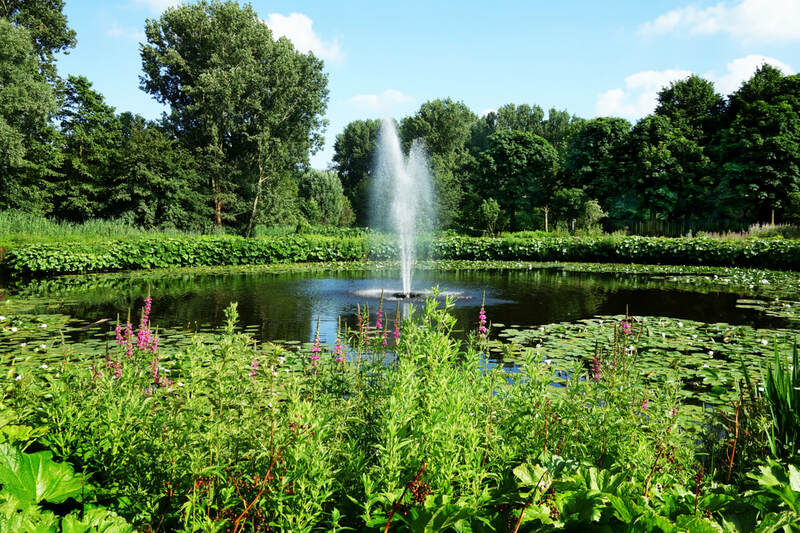 Nevertheless, there are an increasing amount of ponds that are being renovated to bring back the natural plants fish and other aquatic life to help sustain the beauty and function of a natural habitat.